British royalty who became the constitutional monarch of 16 countries and the Supreme Governor of the Church of England after her coronation in 1953. She is one of the longest reigning monarchs in British history. She made frequent visits to see her grandfather, George V, when he was sick in the hospital and was credited with helping him recover. Helen Mirren won an academy award in 2007 for portraying her in the film The Queen. She is the mother of Prince Andrew, Duke of York, Anne, Princess Royal, Prince Edward and Charles, Prince of Wales and is the former mother-in-law of Princess Diana. Queen Elizabeth II turns 90 today. American actor and television personality and model best known as the host of BET’s popular music video countdown show 106 & Park and E! News. 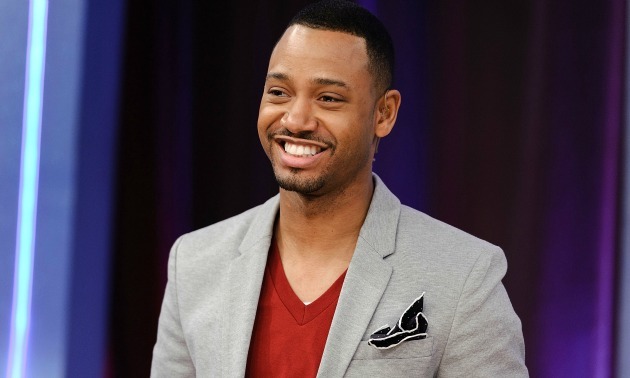 He had roles in the 2010 film, Burlesque, and the 2012 film, Think Like a Man. After hosting 106 & Park from 2006 to 2012, he became the co-anchor of E! News. He was elected Student Government Association President at North Carolina A&T State University. He has also had jobs as a television host on 106 & Park and E! News. He dated Nicole Bilderback from 2008 to 2010. He acted alongside Jordin Sparks in the 2011 musical film Sparkle. The 34 year old was born April 21, 1982. Actor/model who had a recurring role as Lieutenant Carl Davis on Moonlight and starred in I Can Do Bad All By Myself. He was a member of Beta Theta Pi at Dartmouth College. He had independent film roles in Brick (2005) and Fighting (2009). He is the son of NBA player Jo Jo White and he has five younger siblings. He had a regular role on Men of a Certain Age with Ray Romano. The 41 year old was born April 21, 1975.